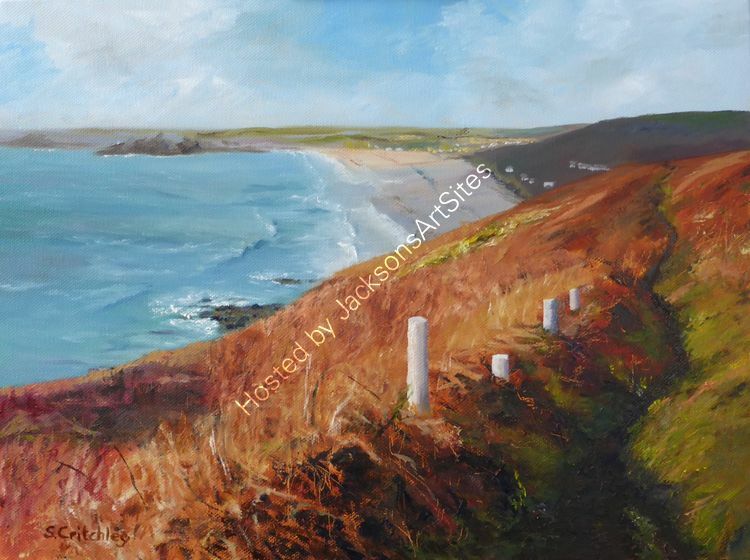 This is a stretch of coast path that I love to walk, from Rinsey Head to Praa Sands. There is such varied scenery along the route from the russet clifftops to the wide and long sandy beach. This image is from a November day complete with autumn colours, strong sunlight and intense shadows. I could not resist creating another interpretation of this delightful walk using oils. An original painting in oils on a deep stretched canvas. Size 40 x 30 cms.